In this third installment of our “Youth in Politics” series, we speak to Koh Choong Yong and Ng Swee Bee, President and Vice-President of the Worker’s Party Youth Wing. Don’t expect rabble-rousing politics from the Worker’s Party of today. Unlike the late JB Jeyaretnam, who was nicknamed “The Tiger” for his unrestrained election rally speeches and rambunctious attacks on the PAP government, the party is set on treading the careful path. At least, the Worker’s Party seems adamant about avoiding the bevy of defamation suits suffered by its former Secretary-General. And if The Online Citizen’s e-mail interview with its Youth Wing leaders is any indication, such an approach seems to be its future as well. Mr Koh Choong Yong, who is 36 years old but “born” in 2006 as a result of the unfairness he felt at the General Elections against the opposition, is unapologetic about it. Both Mr Koh, and 28-year-old Ng Swee Bee, who is the Vice-President, were appointed to their posts in August this year to facilitate leadership renewal. The Online Citizen (TOC): It was mentioned on the party website that the last elections motivated you to join politics. Are there specific experiences that you’d like to share that ultimately led to that decision? Choong Yong (CY): My interest in local politics is more of a gradual build-up, with many factors influencing me to learn more about it bit by bit. However, if I am to pin it down to a specific trigger point which catalysed my decision to contribute [it] is the fact that I finally had the opportunity to vote after 33 years of living in walkover constituencies. This motivated me to attend rallies from the different parties: WP, PAP and another party to know more about them. Along the way, I also learnt about the huge imbalance in the decision-making process in Parliament, where every bill can be bulldozed by the mere fact of the numbers of ruling party MPs in it. Added to this is the fact that I began to learn about the problem of Peak Oil (and the related problem of Global Warming and Climate Change) earlier on in 2006, and I felt that something needed to be done about it. It became an obvious next course-of-action for me: to contribute my effort and time to help reduce the imbalance and eventually help make the needed changes happen. Swee Bee (SB): I joined the party in 2003 and was Mr Low’s Election Agent for the last election. 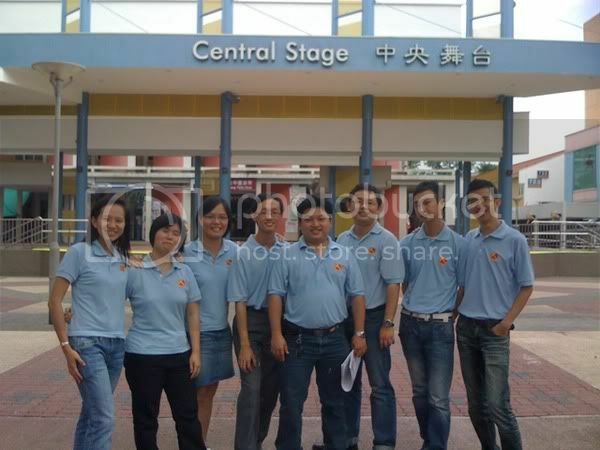 When I joined the party, I was hoping to be more involved in social activities through the HGCC (Hougang Constituency Committee). But later I became more involved in the party level activities as I feel that there is a very thin line between politics and social activism as both aim to serve and benefit the populace as a whole. Political action is necessary to effect political changes and policies, which include social policies. TOC: Choon Yong, congratulations on being appointed the new president of the Youth Wing in August. What are your vision and goals for the Youth Wing? CY: Thank you. I am a more hands-on person rather than a vision or goal person, so I don’t have a flowery statement on such things. My belief is that the Youth Wing’s main role is to help engage younger Singaporeans, so that we will be able to attract younger members who might be the party leaders tomorrow. Its secondary role is to show Singapore youth that politics is not something that is confined to older people, and youngsters can and should be part of this process, whether inside or outside a political party. TOC: Swee Bee, it seems that most politicians in Singapore and abroad are male. What are your personal thoughts on this? SB: I think it is just an “old” mindset that needs to be educated [sic] and changed. This thinking is the same as the olden days’ thinking that females should stay at home to be housewives. However I am confident that in time to come there will be more females coming forward to become politicians. Of course, the main issue is not about more male or female politicians as this is just numbers to me. TOC: Why did you choose to join the Worker’s Party over the other opposition parties? CY: A primary reason is that the Worker’s Party fielded the most numbers of candidates in the last General Elections, and to me (as a member of the public at that time) it was a more credible party. I was impressed by candidates from the Worker’s Party. The second reason is that the party contested in the constituency I lived in during during the last Elections, and I felt that I should join the party that was “responsible” for my political awakening. SB: I am a Hougang Resident and saw for myself the quality of a constituency under a Worker’s Party MP. TOC: List two of the most important public policy issues in Singapore that you think needs change. What recommendations would you make? CY: The first would be energy policy. It is a given fact that fossil fuels are faced with two challenges: Firstly, a finite amount that is not renewable and secondly, higher CO2 emissions that contributes to the Global Warming problem. There is a commendable effort in recent years to change the local fuel mix such that approximately 80% of the fuel used for power generation is natural gas, which emits less CO2 when compared to other fossil fuels. On the other hand, the price of natural gas in this part of the world is tagged [to] the price of fuel oil, which is ever increasing due to the fact that it is not renewable. This directly impacts the households in Singapore with increasing electricity tariffs which saw only a slight breather during last year’s economic crisis. There was some mention of building coal-fired power plants when Tuas Power was sold, as coal is a much cheaper fuel, but it is also a much [more] dirty fuel with high levels of carbon emission. My recommendation for this is to make early plans and conscious efforts to gradually reduce our reliance on fossil fuel. Left to the free market forces currently in place in our liberalised energy market, it is without a doubt that large scale investments in renewable energy will not be looked at with the current high costs of implementation. The commonly cited reasons for not relying more on renewable energy is our location and land size, but with advances in technology, these will be small obstacles in the future. The key thing is for the government to take the lead in making infrastructure investments in renewable energy. These investments may be expensive today, but with the increasing price of crude oil, they will be looked upon as relatively cheap early investment on hindsight. The profits gained by the current energy-related companies still under the government’s control (they should not have sold some of them in the first place) should be used to finance these investments. My second concern is with food security. We currently import most of our food from overseas. Local production of food is limited to mainly fish, eggs, vegetables and chicken, which constitute a low percentage of the total amount of such food consumed here. It is already estimated that with Climate Change and the increasing price of crude oil, food prices will remain high going forward. There was a recent announcement of a Food Diversification Fund and Food Capability Development Fund, worth a total of $5 million to enhance local food supply. However, the news report seem to suggest that these funds are for the refinement of farming methods of current food types like fish farming. There needs to be a separate effort to increase the food type in local production. SB: Education is a concern for me. I feel that our education system is still too “ranking and scoring” based. Though the government is making improvements on this, most parents’ mindset are still not changed as I think there is a lack of the education process [or] parents. They should be educated that ranking and scores are not the only things that matter in education. I also feel that political education is still quite weak in our education system which lead to a “can’t be bothered” mindset of most youths today. With regards to housing, I feel that our HDB flats will become more and more difficult to afford. Our HDB flat prices should be lower and a maximum cap should be introduced in selling prices for resale flats instead of leaving it to the open market that results in the current high prices of a HDB flat. CPF should provide housing loans at market rates to first and second-time flat purchasers with CPF having the first charge on the property, to prevent [cases] where one’s flat is seized and placed under forced sale, that the savings in CPF can be gone and one can be left with no roof over the head. TOC: Talk about your married lives. It certainly isn’t easy to juggle work, family, and politics! How do you maintain that balance? CY: For me, I am fortunate to have a wife who holds the same views as me and is supportive of my work. When I am busy with party work, she helps to look after our two boys, a 5-year-old and a 20-month-old. The one that demands my attention the most is the 5-yr-old, whom I sometimes bring along to the social events in WP so that he can better understand why I am away from home for a few evenings every week and every Sunday morning. SB: My family is always supportive of my participation in politics. TOC: What kind of activities does the Youth Wing organise? What’s coming up on your calender? CY: We do some social events, some charity work, outreach work and of course discuss policies. Social events organised include a bowling competition, a movie screening of “An Inconvenient Truth” back in 2006 and our annual year-end BBQ. For a number of years we collected items from residents to be donated to charity and there was one year where we help to organise a small carnival in a children’s home on Children’s Day. We also hold regular Night Hammer outreaches, where we go to areas that are frequented by youth, like Bugis Junction and Tampines Central at night. When it comes to discussing policies, we have established a series of forums known as YouthQuake, where we invite speakers to speak on different topics each time. So far, which current PAP MP or cabinet minister has impressed you the most, and why do you say that? CY: The one that I am impressed with is not a current MP or cabinet minister, but an ex-DPM, and PAP party chairman if I remember correctly. He is Mr Ong Teng Cheong, one of our elected Presidents. I think he is a man of integrity to be able to stand up and question the government with regards to the Reserve, although he was from the same party previously. SB: Mr Tharman Shanmugaratnam – he has improved the education system by moving it towards a more creativity and hands-on based one. The Online Citizen would like to thank Mr Koh and Ms Ng for their time in doing this interview.